Photographs of six fatally attacking dogs in 2017 obtained from multiple sources. Jump down to view all 2017 breed identification photographs or read our analysis first. DogsBite.org - In 2013, we began the tradition of publishing breed identification photographs of fatally attacking dogs when available through news reports, social media websites and law enforcement agencies. 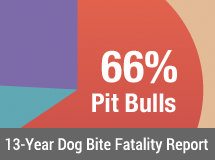 Of the 39 U.S. dog bite-related fatalities recorded in 2017, 56% (22) had identification photographs, down from the high of 72% last year. Pit bulls and their mixes represent 82% (18) of all breed identification photographs collected in 2017, up from 76% last year. Of the 22 cases with identification photographs, 73% (16) were captured by news media, up from 62% last year and 59% (13) were located on social media pages of the dog's owner or family members, over four times greater than in 2013. Animal control departments supplied 18% (4) of all photographs in 2017. Departments in California, Ohio, Georgia, Texas and Florida allowed news media to photograph the dogs while quarantined in 6 cases, raising that number from 18% to 45%. 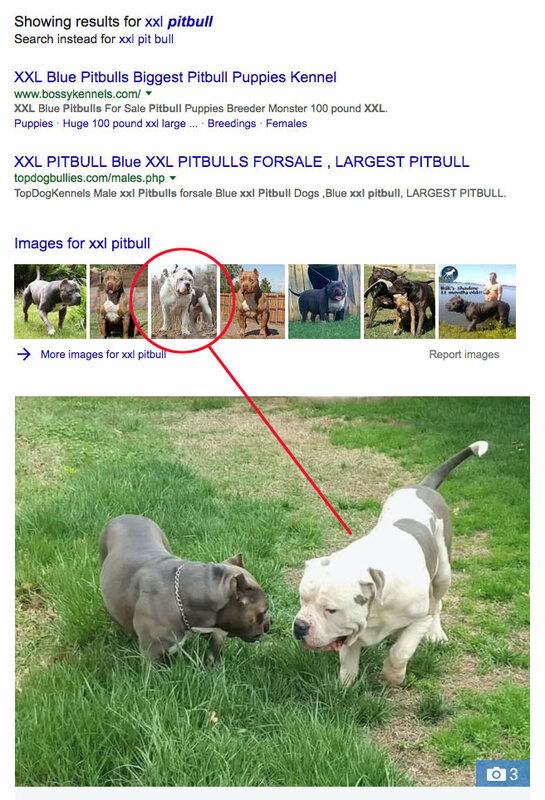 Of all cases with photographs, DogsBite.org located 18% (4) on social media that were otherwise unpublished; each case involved pit bulls. In 2017, 73% (16) of all collected identification photographs were family dogs. Pit bulls and their mixes perpetrated 75% (12) of these family member and household deaths, including killing three primary caretakers. No other dog breed with an identification image inflicted an owner death in 2017. The case of Carol Harris, who was rehabbing "an orphaned akita" to make it "adoptable" when the dog killed her, is similar, but Harris did not appear to be the akita's primary caretaker. 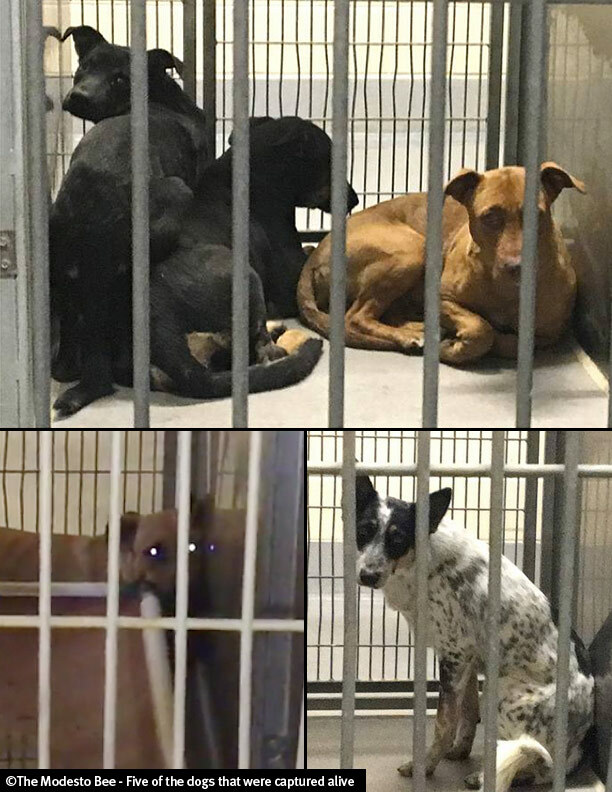 Of all cases with breed identification photographs, 91% (20) involved dogs taken into custody and quarantined and 14% (3) were shot and killed at the scene. Images of the shot dogs were located on social media pages of their owners, and in one mauling death, the NextDoor app. Of all 39 recorded dog bite fatalities in 2017, 15% (6) involved rescued or rehomed dogs. 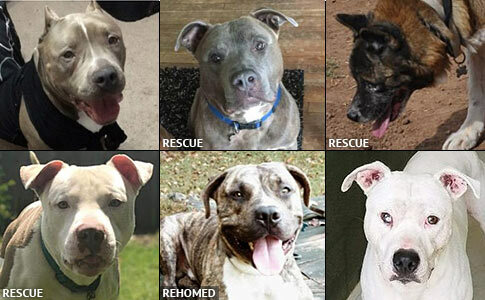 Identification photographs from social media and adoption websites captured 83% (5) of these rescue dogs. Of the 9 remaining quarantine cases, one lacked any media coverage, the death of 41-year old Grace Walks. In another case, also involving a pit bull, the shelter refused to allow news media to photograph the dogs. 35% (6) of all cases lacking an identification photograph did not involve pit bulls. 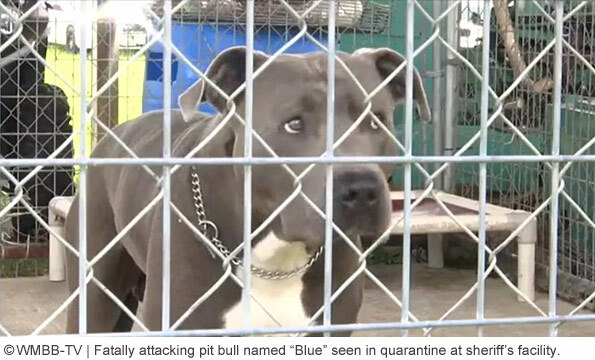 If one adds the 7 shot pit bull cases and the 2 pit bull quarantine cases, that is 9 pit bull mauling deaths where an identification photograph had slim chances of ever becoming public. Jump down to view all 2017 breed identification photographs or continue reading our analysis. In 2017, there were two breed misidentification wars; both involved confusion. 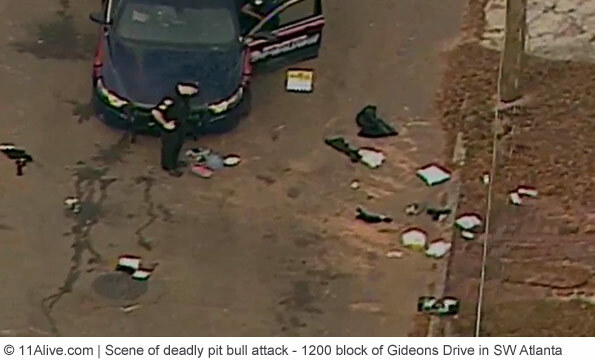 After three dogs killed a 6-year old boy and seriously injured a 5-year old girl while walking to a school bus stop in Atlanta, initial reports identified two of the dogs as a pit bull and pit bull-mix. Later reports revised the animals to a "pit bull and border collie." 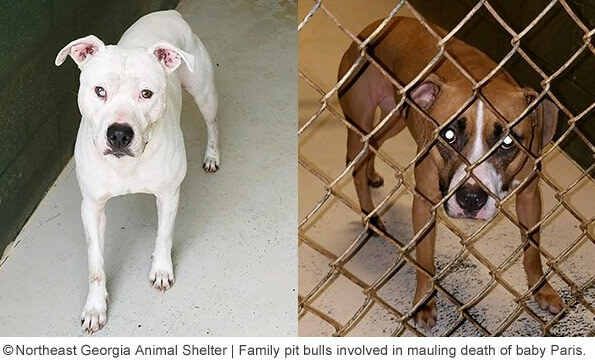 By this time, however, both pit bulls had already been photographed by the media and belonged to the same owner who had been taken into custody. Animal control seized other loose dogs in the area, one was a border collie. To this day, there is no verification it was involved in the attack. The other misidentification case was primarily due to law enforcement and the media being unfamiliar with XXL pit bull "designer" breeds. 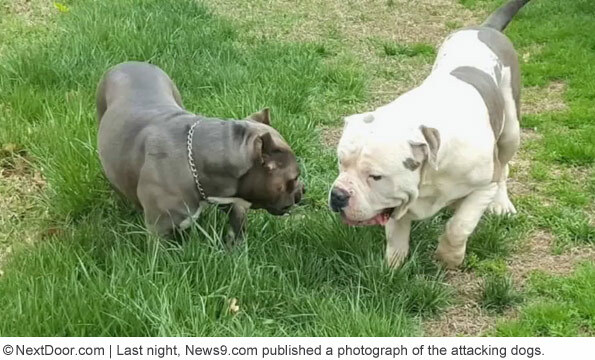 After the horrific mauling death of Cecille Short in Oklahoma City, and the accompanying image of the dogs, first located on the NextDoor app, the media simply began calling the dog a "large white dog." That evaporated fairly quickly once they learned about XXL pit bulls and the poor breeding practices of "designer" XXL bully breeders. Finally, 2017 marked a year when we entered into territory that is more corrosive than breed misidentification wars. After a young woman who advocated for pit bulls was killed and eaten by her own two pit bulls, zealots on social media responded with denial and conspiracy theories, just like they did after the death of pit bull advocate Darla Napora in 2011. People claimed Bethany Stephens' pit bulls were innocent; she was instead "murdered" or "attacked by a wild animal." The conspiracy theories, which spread like wildfire on social media, and were further fueled by media outlets that published them, were so destructive the Goochland County Sheriff's Office had to give a second press conference in order to stop to them. This is the part of the conference that you should always remember: "It's been difficult and I am afraid that even after releasing these additional facts as we have tonight, it's not going to nullify some of these people," the sheriff said. Goochland County Sheriff James Agnew is exactly correct. Nothing will nullify pit bull zealots who willfully ignore the truth. In the face of a devastating mauling death, they lie to themselves, lie to their friends, lie to the public on social media and vilify the messenger. Our collection of over 400 fatal dog attacks with thousands of citations along with our breed identification reports are not meant for them. They are meant for people who are truly investigating this public safety issue. More photos of larger sizes are often available at the indicated full blog post link for each victim. 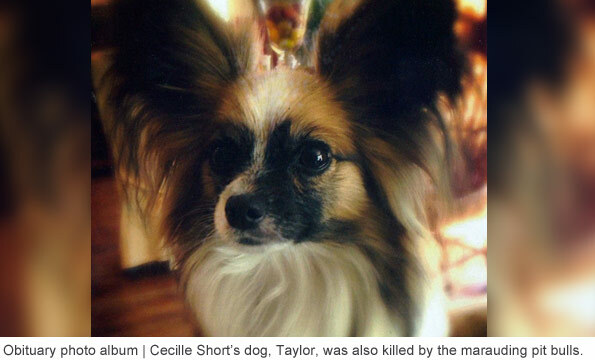 Also, jump down to learn how we track the photograph sources for each fatal dog attack case. Logan Braatz, 6-years old, was brutally killed by up to three dogs while walking to a school bus stop with a group of children on January 17, 2017 in Atlanta, Georgia. The dogs critically injured 5-year old Syrai Sanders as well. 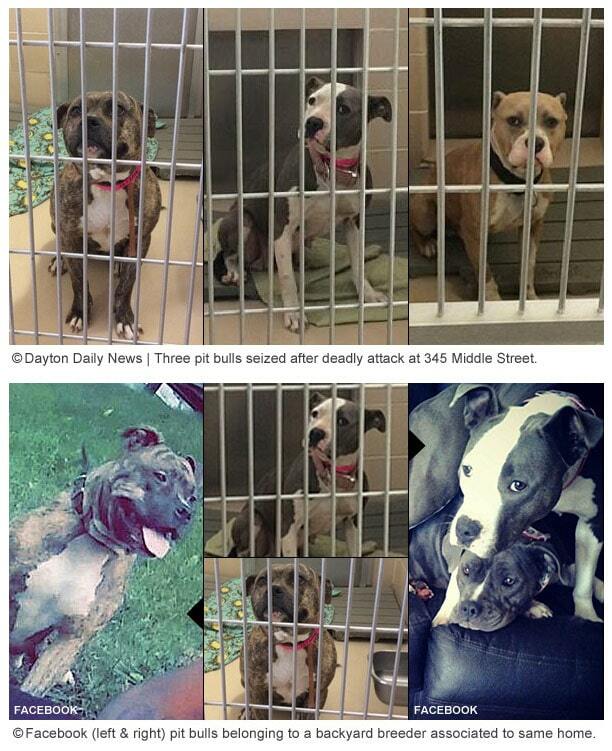 The owner of the two involved pit bulls, Cameron Tucker, was charged with misdemeanor manslaughter. See: Summary | Full blog post | John Doe (child), 5-years old, was mauled to death by his family's two English mastiffs on February 16, 2017 in Clarksville, Tennessee. 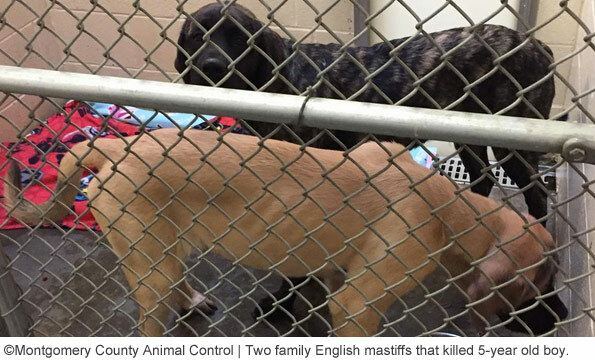 Both dogs were 6-months old, according to a news release by the Clarksville Police Department. Emergency personnel discovered the boy with "extensive injuries" after being mauled by the two dogs. Jamie Owsley, 21-years old, died after being bitten in the neck by a family pit bull in Quincy, Illinois. The attack occurred at his home in the early hours of February 26. The dog involved was one of three pit bulls belonging to his roommate and cousin Kerry Talburt II. It is believed Owsley suffered a seizure before the dog attack. 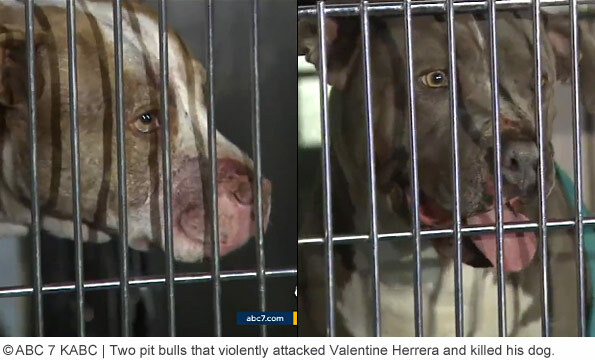 Valentine Herrera, 76-years old, was attacked by two pit bulls on February 2, 2017 in Los Angeles, California. 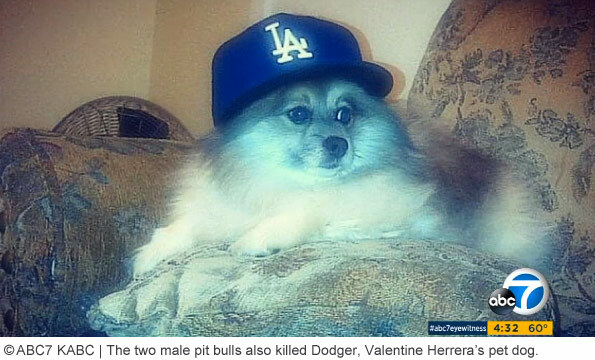 The pit bulls first attacked and killed his pomeranian, named Dodger. When Herrera intervened, the pit bulls attacked him. Herrera remained in critical condition at LA County-USC Medical Center until he died February 27. 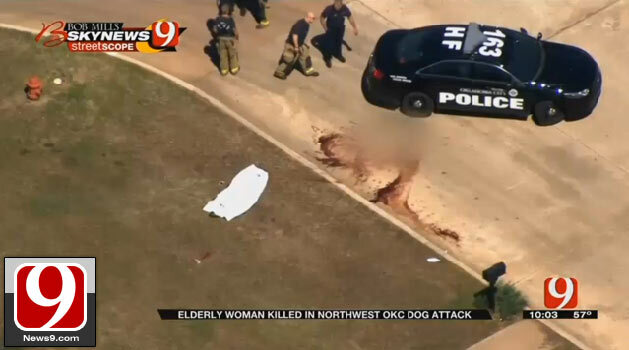 Cecille Short, 82-years old, and her dog, named Taylor, were violently killed by a pit bull and a pit bull "designer" breed on April 6, 2017 in Oklahoma City. Emergency crews said the attack was so gruesome the victim was nearly decapitated. The dogs' owner, Antwon Demetris Burks, was charged with second-degree manslaughter. 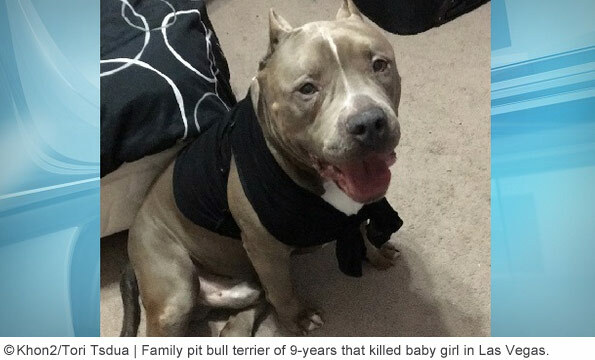 See: Summary | Full blog post | Kamiko Dao Tsuda-Saelee, 6-months old, was mauled to death by her family's pit bull of nine years on May 8, 2017 in Las Vegas, Nevada. Kamiko had been playing in a baby walker near the dog when the animal suddenly attacked her. The family said they were blindsided by the attack -- the dog had never bitten anyone before. Susannah Murray, 3-weeks old, was mauled to death after being left alone with three pit bulls in Grand Rapids, Michigan. The baby was left alone in a bouncy chair for about five minutes. 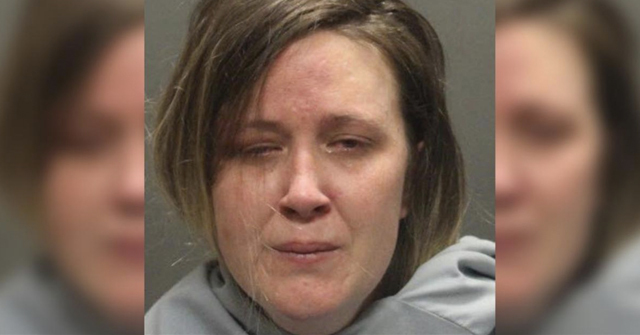 When one of the adults returned, she found her bloody with severe head injuries. 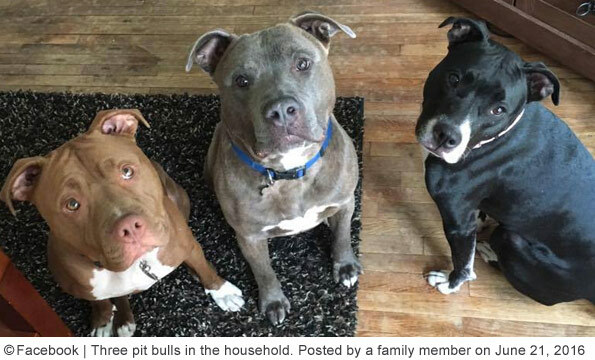 All three pit bulls were "rescues," according to family members. 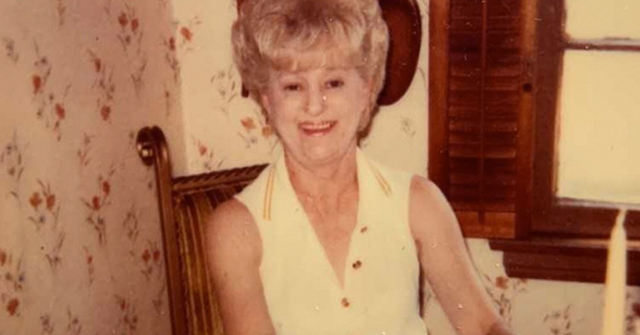 Margaret Colvin, 91-years old, was killed by a pit bull in Virginia Beach that her daughter had acquired from a rescue group earlier that day. 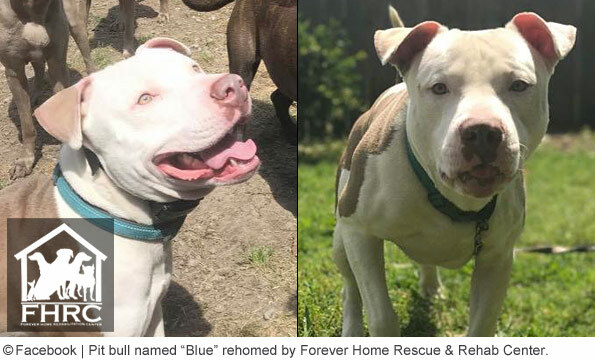 Forever Home Rescue sent the pit bull to the adopter's home wearing a shock collar. The dog had a history of bites and aggression, but the rescue did not disclose this information to the family. 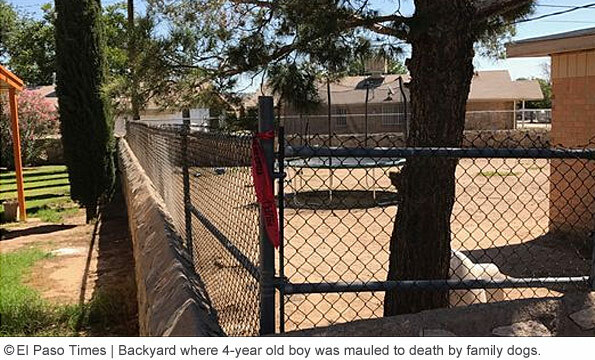 See: Summary | Full blog post | Marcos Raya, Jr., 18-months old, was killed by his father's rottweiler on June 9, 2017 in Phoenix, Arizona.3 While the child's grandmother was doing chores, the rottweiler rushed inside, grabbed the baby boy then dragged it outside, viciously attacking him. He "never stood a chance," Phoenix fire spokesman Capt. Rob McDade said. 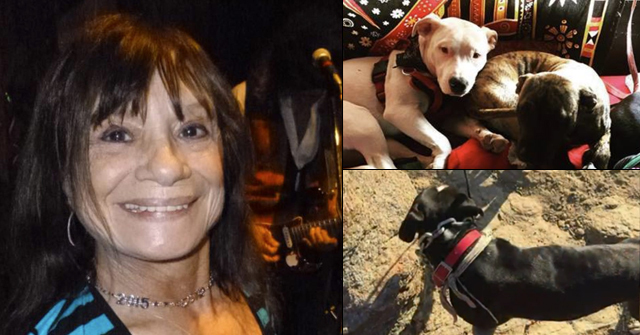 See: Summary | Full blog post | Melissa Barnes, 65-years old, died after being savagely attacked by two pit bulls on June 24, 2017 in Bozeman, Montana. The dogs belonged to her tenant, Wayne Bartlett, who had been living on the property with her for some years. She was airlifted to a trauma center for treatment. Doctors pronounced her brain dead the next day. Michael Parks, 60-years old, died after trying to break up a violent pit bull fight on July 21, 2017 in Fostoria, Ohio. After Parks let his own pit bull, Mia, outside, the dog bolted across Davoli Street and began attacking another pit bull being walked by its owner Amy Loving. While trying to break up the fight, Parks was fatally bitten. Jacob Brooks, 4-years old, died after being mauled by a pack of family dogs on July 27, 2017 in El Paso, Texas. His mother had left him in an enclosed trampoline in the backyard where the four dogs roamed. He got out of the enclosure and the dogs attacked him. His mother and partner were charged with felony Injury to a Child. Paris Adams, 20-months old, was killed by two pit bulls while under the care of his grandmother on August 1, 2017 in Hartwell, Georgia. Sandra Adams had been cited for the dogs multiple times in the past. Instead of taking Paris directly to the hospital, she picked up his mother first. She was charged with second-degree murder. See: Summary | Full blog post | Michael Obergas, 2-months old, was killed by a family dog while he slept in a bassinet on August 19, 2017 in Houston, Texas. One of the dogs was able to open the door and attack the infant after his parents briefly stepped away. 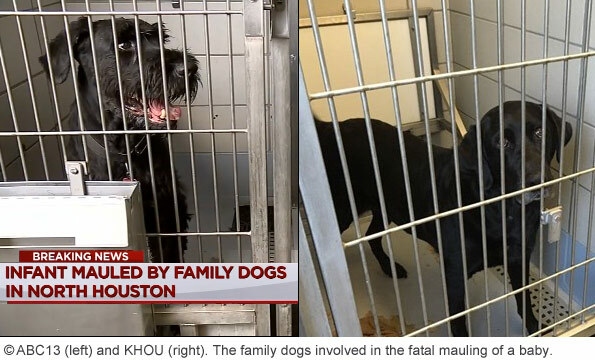 The two male family dogs, a giant schnauzer and labrador both named Jack, were surrendered to police. Alicia Malagon, 76-years old, was killed by a pit bull she was dog-sitting for relatives on August 26, 2017 in Blountstown, Florida. Arriving deputies found a "significant blood trail" leading from a bedroom to the kitchen, where they found Malagon unresponsive. She was transported to a hospital where she was pronounced dead. Barrett Hagans, 1-month old, was killed by a family pit bull while he slept in his bassinet on September 20, 2017 in Pike Township, Ohio. His father awoke the next morning to his baby dead with head injuries so extensive he did not even perform CPR. The attack occurred on the first night the baby ever spent at his father's home. David Baber, 65-years old, was killed by his own two dogs on November 4, 2017 in Hamlet, North Carolina. A 9-year old boy witnessed the attack and threw bricks at the dogs, trying to get them to stop. "Only they wouldn’t get off of him. They bit his neck," little Kanorie said. Police later called the boy a "hero" for trying to save Baber's life. Bethany Stephens, 22-years old, was mauled to death then eaten by her two pit bulls between December 13 and 14 in Goochland County, Virginia. The dogs attacked her while she took them for a walk. Deputies found her dismembered body over a day later. "It was an absolutely grisly mauling," the Goochland County Sheriff said. 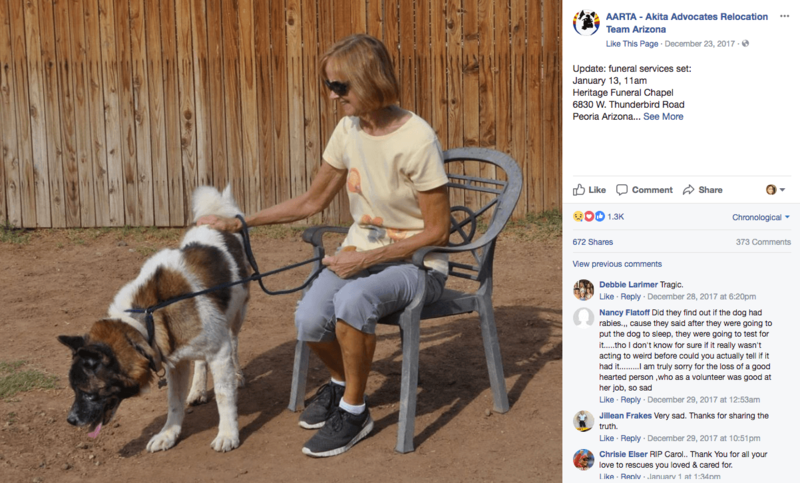 See: Summary | Full blog post | Carol Harris, 69-years old, was killed "while helping to rehab an orphaned akita" to make the dog adoptable. The attack occurred at the Canine Country Club and Feline Inn, in Phoenix, Arizona. Carol was part of Akita Advocates, a rescue group. Her husband told the media he doesn’t want anyone to "blame the breed" for his wife’s death. Lorraine Saylor, 66-years old, was brutally killed by her neighbor's two pit bulls on Christmas Eve in Arjay, Kentucky. The dogs seriously injured her husband too. 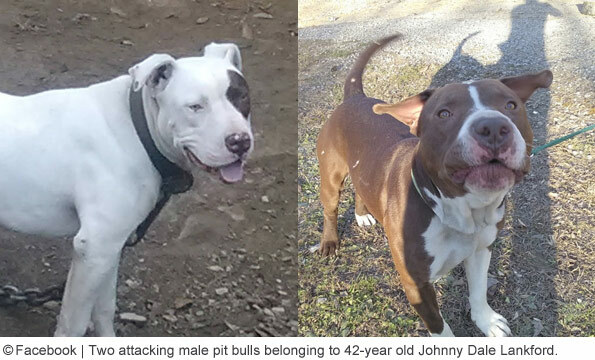 The owner of the dogs, Johnny Dale Lankford, was being held at the Bell County Detention Center on unrelated charges when his two pit bulls attacked the couple. Deborah Onsurez, 56-years old, was found mauled to death on Crows Landing Road on December 28, 2017 in Modesto. 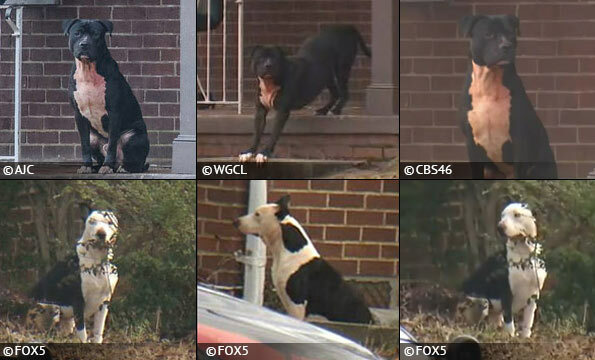 Authorities captured seven stray dogs they identified from surveillance cameras near the attack site. The pack was comprised of a variety of breeds, including German shepherd, doberman, pit bull and more. Breed identification photographs discovered after the publication of this post on January 11, 2018. These photographs are not included in our overall analysis; they were unavailable at that time. Emily Colvin, 24-years old, was killed by five pit bulls belonging to her neighbor on December 7, 2017 in Section, Alabama. A deputy shot and killed one of the dogs at the scene. 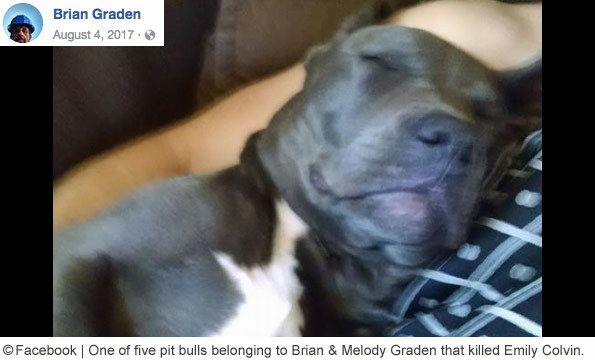 On January 29, 2018 District Judge Don Word ordered the remaining four pit bulls belonging to Brian Graden and Melody Graden to be put down. See: Summary | Full blog post | Jane Marie Egle, 59-years old, was killed by her own South African boerboel on May 1, 2017 in Asheville, North Carolina. An autopsy conducted May 3 stated she died "due to dog mauling." The Buncombe County Sheriff's Office never released cause of death. The medical examiner's office released the autopsy report April 16, 2018. We track the identification photograph's original source. There also may be multiple images in one case, so multiple sources may be attributed to a single case. For instance, after the death of Paris Adams, the news media shot original images, there were social media images and the shelter provided a photograph. Also, the news media can be an overlapping (dual) category because they often republish images provided by law enforcement that the public otherwise would not see. What is easy to see in our tracking and analysis is the rising number of identification photographs located on social media, from only 16% (3) of all collected images in 2013 to 59% (13) in 2017. It is also easy to see the remarkably low number of law enforcement and shelters that release identification photographs after a fatal dog attack. They supplied 18% (4) of the 22 cases with identification images and just 14% (4) of the 29 quarantine cases after a dog bite fatality in 2017. 1It isn't this fact that makes this so questionable -- the fact that the entire fatal dog attack was caught on surveillance footage and there was no breed identification photograph. What is eyebrow raising is that Kentucky State Police did not release any breed information after viewing the surveillance video nor after shooting one of the attacking dogs. 2The seized pit bull photographs are included because a backyard pit bull breeder, who had a "yard of chained pit bulls," was associated to the home at 345 Middle Street and two of the three pit bulls seized by Dayton and county authorities were clearly identifiable on his personal Facebook page. 3We could not get a front view. But as you can see, the dog is recognizable as a rottweiler even from this view. When will people learn? Pits are not pets. Check out video "curious video of Great Ch Virgil's Gambler". Read the comments. 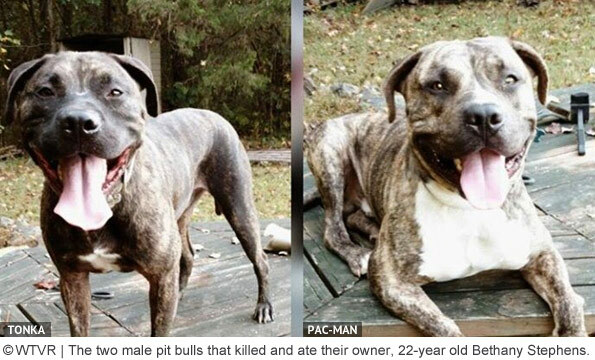 He won 5 fights/severely injured and killed dogs, far from home, for no reason other than instinct, to become Grand Champion but he is the Ted Bundy type. When he ACTS like a normal dog. It's an act. Very sad, innocent lives murdered in deaths that were 100% preventable if people didn't feel the need to keep killers as pets. I don't get it, these are ugly dogs with evil eyes. 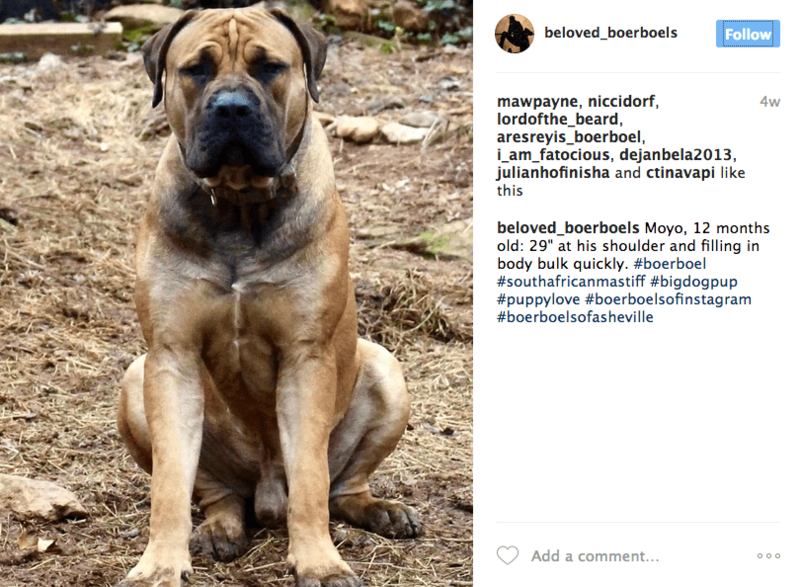 People of social media: If you have a pit bull, and it kills someone, expect to have its photos displayed on DBO. Thank you dogsbite for all the work you do keeping track of all these horrible maulings. Compiling the photographs was an excellent idea. Kudos to you, DogsBite!